The hall was a big surprise; tucked away at the foot of a large property belonging to the Camphill community of Ballytobin, it is a beautiful building, highly original in style and with a fantastic acoustic. 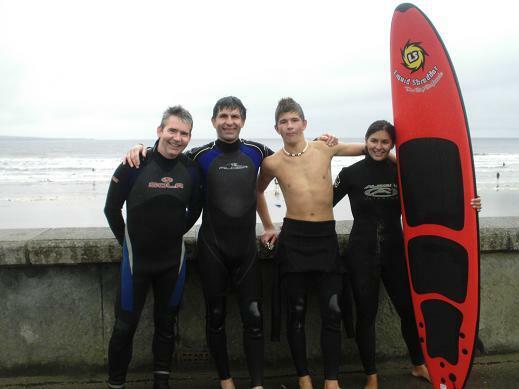 The Camphill community was set up as a therapeutic centre for children and adults with physical or mental disabilities and there is a really nice atmosphere there. Several of the young guests wandered into the hall while we were playing, clearly well used to visiting musicians. And what musicians. 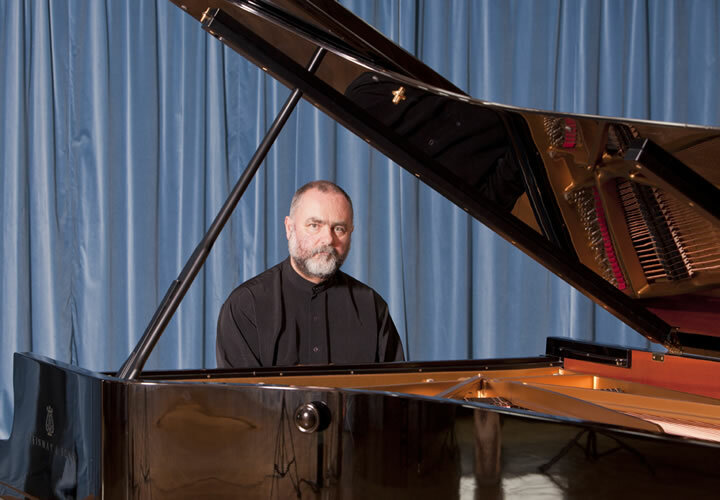 One of the great advantages of teaching at Waterford Institute of Technology is that I occasionally get to play music with renowned harpsichordist Malcolm Proud. Malcolm lectures in music in our college and just happens to be a world authority on period music. When he’s not away on solo recitals around Europe or touring with the Irish Baroque Orchestra, he likes to relax by playing chamber music of a different era – which is where amateurs like me come in. 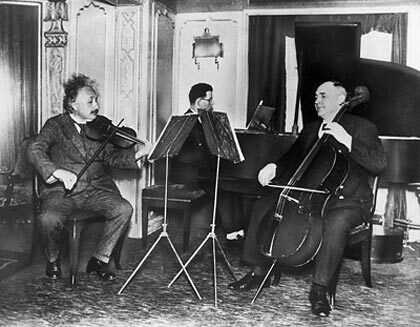 Of course, I’m not the only violin-playing physicist, it’s well-known that Einstein played the violin to to quite a serious level. 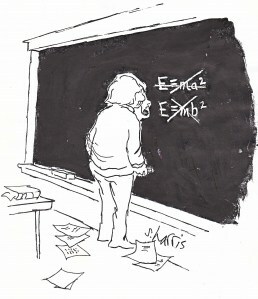 Actually, an extraordinary number of mathematicians and physicists play classical music, I’ve often wondered about the connection. It’s hard to judge just how good a player Einstein was from his biographers; however, he must have ben reasonably competent as he performed celebrity chamber concerts with outstanding musicians such as Rubenstein. I read somewhere that Mozart was his favourite composer, that’s something else we have in common. On Thursday, we played through the G major (K496) and C major (K548) trios. Although I have played the piano quartets many times, the trios were new territory for me. Looking at the score in advance, I thought the C major would be the more challenging of the two – in fact it was absolutely beautiful to play, a lovely opening movement followed by a fantastic slow movement. Another Mozart discovery, can’t wait to try the other five trios. After the session, we climbed up the tower at Castalia to inspect the new observatory. John Clarke, the director of the community, had the tower built with a view to mounting a telescope on top; he has done a fantastic job, it’s a superb location for an observatory. Then we all went back to Malcolm’s house to inspect a telescope that has been misbehaving. 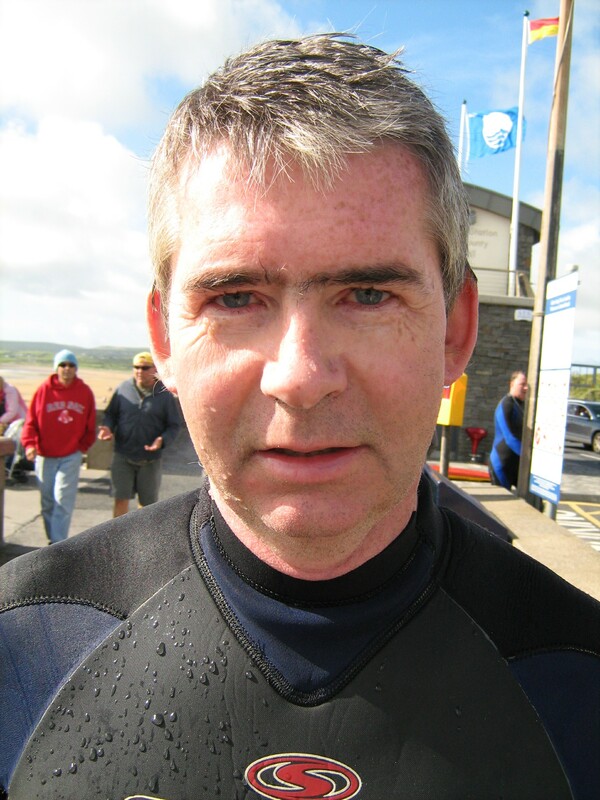 Our cellist Ian McShane is a keen astronomer and it took him about three minutes to find the problem , whereupon we all had a good look at the beautiful night sky one sees on clear nights in rural Ireland. 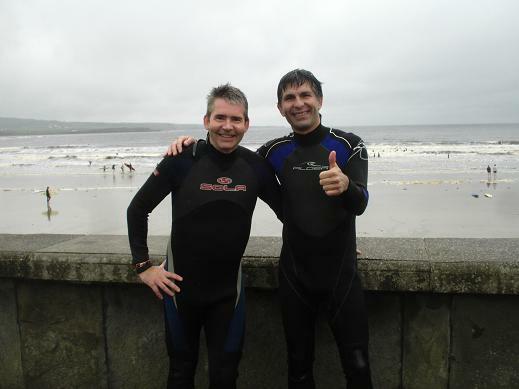 I’ve stayed on an extra few days in Doolin, the surf is good and the music second to none. Most nights I have a tune in O Connor’s Pub, the only pub left in Doolin that has truly spontaneous sessions, with different musicians every night. 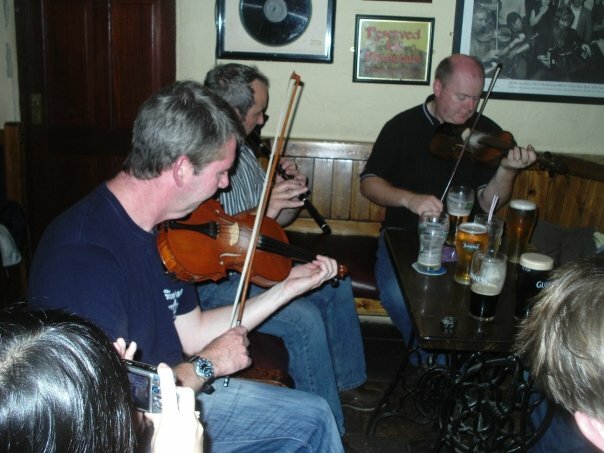 The tradition of the session is the huge strength of Irish traditional music. Essentially, two or three local musicians are paid a few bob to play a few tunes in the local pub on a certain night, without rehearsal or amplification. Because it’s spontaneous, visiting musicians can join in if they know enough of the repretoire. 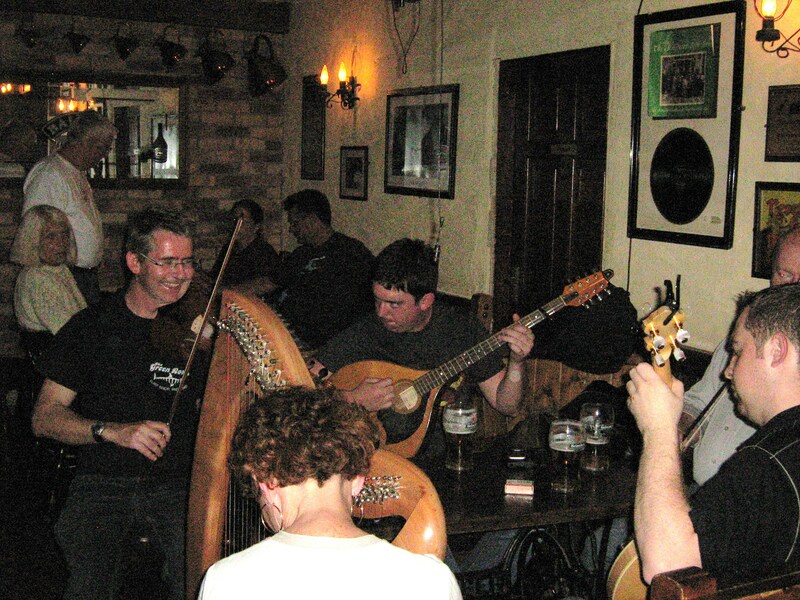 In this way, visiting musicians get exposed to Clare tunes and styles, while the local players get to hear music from all over the world. It’s a wonderful tradition to observe or participate in. Sadly, a great many pubs have now gone the route of ‘gigs’: employing one or two musicians to play a rehearsed show using mikes. This ensures a certain standard every night, but effectively prohibits visiting musicians from joining in. 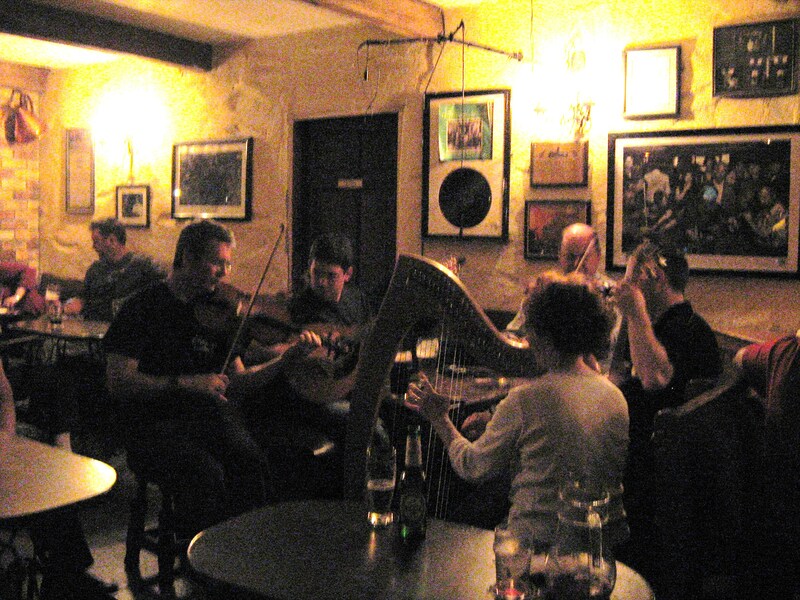 Even in Doolin, there is really only one pub left where one can join in and have a relaxing evening with tunes, songs, jokes and stories. As for the tourists, I’m pretty sure from their reaction they can tell the difference between the rehearsed and the contrived..